How to Hire a Plumber on Craigslist or Facebook Marketplace Spoiler Alert: Don’t. Don’t do that. - James' Plumbing and Heating, Inc.
We know you want to be a responsible homeowner who takes good care of your investment. But we know something else, too: When your garbage disposal’s on the fritz or there’s a mysterious water stain on your family room ceiling, you’d really rather not pay a gazillion dollars to have someone fix the problem. You especially don’t want to pay a gazillion dollars if the job should’ve only cost half that much. We get it. Feeling ripped off and taken advantage of is no fun. And even when a contractor’s price is totally fair, it’s still no fun to write that check. Quite frankly, even we—professional Santa Fe plumbers—would rather spend our money on 632 other things. Unfortunately, the desire to save money on plumbing repairs tempts many people to turn to places like Craigslist and Facebook Marketplace to find a not-so-expensive plumber. The problem is not-so-expensive plumbers are far too often not-exactly-plumbers. And that can lead to disastrous—even dangerous—results. Here’s how this usually goes down: Someone’s water heater goes kaput. After the initial cussing, the homeowner does a bit of research and decides “real” plumbers are too expensive. So, they go scanning Facebook Marketplace and Craigslist for “handyman” ads. They find someone who says, “Yeah, man. 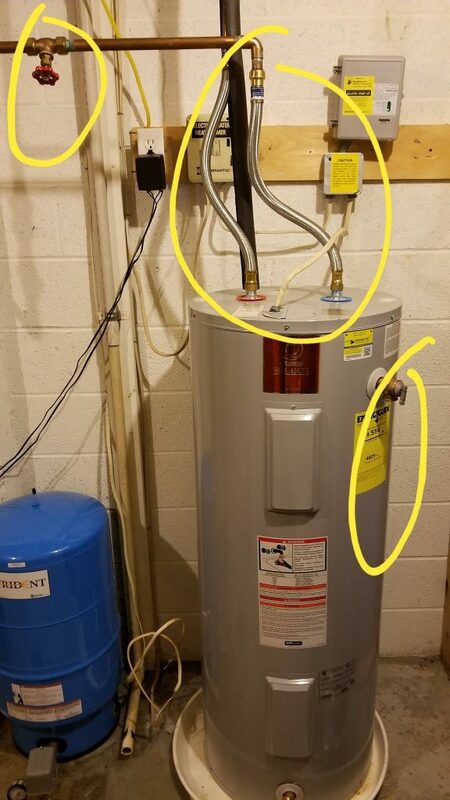 I can install a water heater.” And they can. But not correctly. So, the job costs far more than they guessed it would, and it’s done wrong. At best, the homeowner ends up with a leak. At worst—and we see this frighteningly often—it’s the wrong unit and/or it’s vented improperly, creating a deadly build-up of carbon monoxide. To be clear, the chances of you finding a handyman who is intentionally trying to hurt someone are pretty slim. But if your primary concern is saving a little money, you’ll easily find someone whose primary concern is making a little money—doing things they’re absolutely not qualified to do. You might luck out. Or, you might pay someone to make a repair—and then have to pay another someone to repair the repair. And, most importantly, you might be putting your family at risk along the way. It’s not worth it. Licensed. States regulate plumbing licenses, and it’s not easy to get one. New plumbers spend several years as an apprentice and take an exam before they’re granted their own license. If someone’s not licensed, there’s no guarantee they know what they’re doing and, without the accountability of a licensing body, they may be more willing to engage in unethical business practices. You wouldn’t hire a doctor without a medical degree; why would you hire an unlicensed plumber? Insured. Don’t hesitate to ask for proof of insurance before signing a repair agreement. If a contractor gets hurt in your home, you want their deductible to apply, not yours. Bonded. While a contractor’s insurance covers them and their company, a surety bond covers you, the homeowner. For example, if a plumber causes damage to your home, a surety bond would take care of repairs, rather than your homeowners’ insurance. Also, only trustworthy companies can get bonded, so hiring a bonded plumber is just another layer of protection for you. Well-reviewed. A qualified plumber won’t hesitate to provide references, but it’s just as easy for you to do your own research. Visit the Better Business Bureau. Google the company and look for reviews. Do the same on Facebook. Yes, of course James Plumbing and Heating is licensed, insured, and bonded. Using Facebook Marketplace or Craigslist to find a plumber just isn’t worth the risk to your home, family, and wallet. Give us a call today.